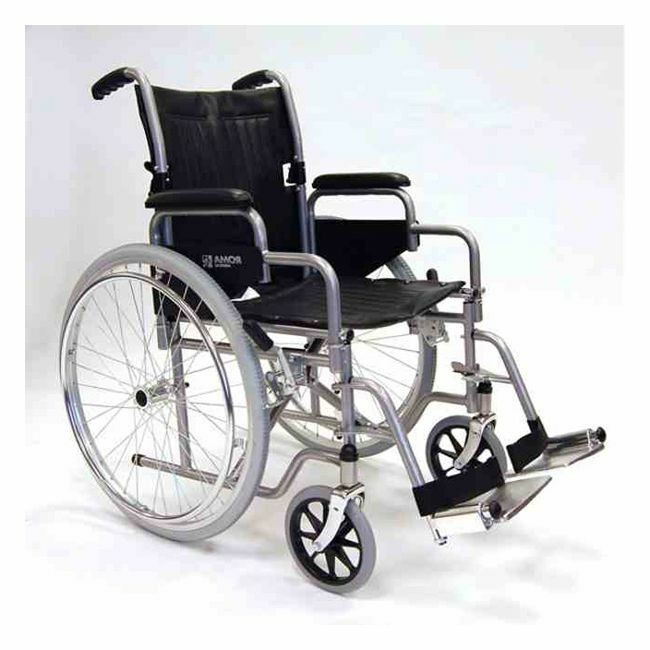 For an affordable self propelled wheelchair you can fold with ease, look no further. The Roma RMA 1000 is a low cost self propelled wheelchair that is lightweight yet supports users up to 17 stone in comfort and stability. When not in use, simply fold the wheelchair and store neatly at home or in the garage. Seat Height: 51cm / 20.1"
Seat Depth: 40cm / 15.7"
Width Between Arms: 45cm / 17.7"
Seat to foot rest: 38cm / 15.0" - 52cm / 20.5"